1.5 bigha natural lake & landscaped garden with walking track. High-rise gated community of 500 Homes. 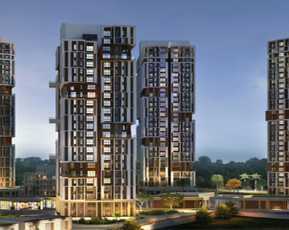 B+G+11 storied well ventilated 2/3/4 Bhk Apartments. Congestion free entry from main road. Separate club house with roof top swimming pool. Immediate connectivity via Sodepur station & Madhyamgram Station. Renowned schools, colleges, shoping malls within range. Multi connectivity through NH 34 & BT Road. Easy connectivity to NSC Bose International Airport. From the house of reputed developers of kolkata. Apartments are always chosen by investors or the buyers according to the location and the environment in and around the apartments premises. Looking for apartments where there is a greater connectivity of all major landmarks is preferred the most. Therefore, for all such buyers and the investors, Unimark Windflower presents you the home solution and best prices or you can at affordable prices for the people who want to become a proud owner of this project plan. Unimark Windflower price provides you residential apartments at affordable prices with a combination of lavishing lifestyle and flexible features and amenities in the apartments. The apartments in the project plan are well furnished with lavishing infrastructural and architectural designs which are done by the best professional developers and designers. 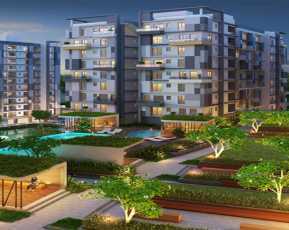 Unimark Windflower have almost the best amenities in terms location and surrounding, infrastructural and architectural designs, sports and basic features which makes it a combo of features and can attract the investors. The apartments have 1.5 bighas natural lake and landscaped garden with a walking track. The apartments have B + G + 11 storied well ventilated 2/3/4 BHK apartments. There is a Separate clubhouse with rooftop swimming pool for residents of the apartment. 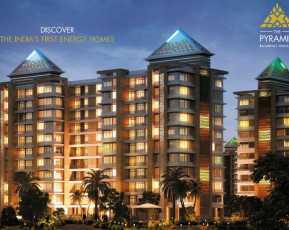 Unimark Windflower has Renowned schools, colleges, shopping mall within the range of the location. Unimark Windflower price provides you a well furnished and equipped with Modular kitchen and also gives a nice presentation to your home. The apartments have best facilities and amenities in the project plan. The clubhouses in the apartment premises are well furnished with all the amenities and Various types of indoor and outdoor games. Unimark Windflower has mostly all basic types of games in the clubhouse. All the residents of the apartment can relax and do something recreational with these facilities. Residential apartment in Madhyamgram Kolkata is also having a facility of a swimming pool where you can relax after a long tiring day or can also relax during their holidays. The apartments avail with a cafeteria where they can enjoy with their loved ones spending some quality time with them. 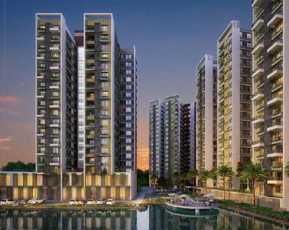 The apartments avail with spacious landscape garden or park. These themed gardens are covered with green lush and also carries different themed plants which look very nice and all the residents can enjoy and relax in the landscaped garden. 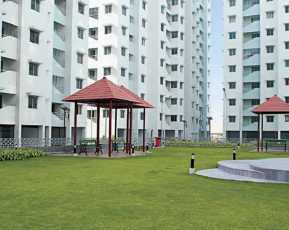 Not only that the apartment also has open space with a wide range of green lush to a vast extent which actually gives you a soothing effect on nature's environment. The apartment also has kids play area where the kids can have their own personalized time with all the kids. Property in Kolkata lead to Easy connectivity to NSC Bose international airport and also has a high rise gated community of 500 homes. It also provides congestion free entry via Sodepur station and Madhyamgram station and multi-connectivity through NH 34 & BT Road.